Do you know that eating a single banana can compensate for almost 10% of your daily fiber requirements? Bananas come full of vital minerals and vitamins and especially potassium which is important to maintain the fluid levels in your body. Bananas are loaded with other vitamins and minerals like calcium, Vitamin B6, manganese, magnesium, riboflavin and many more. Potassium is also largely responsible for pushing the nutrients around your body and also to eliminate the waste products from your cells. Loaded with all these vital minerals and nutrients, making habit of eating a banana daily keeps you hale and healthy. And keeping in mind the importance of bananas, we’ve come up with these stylish banana Food Keeper boxes that preserve the banana for a long time. Keeping your banana in your lunch bag will make the banana crushed and once you open the lunch box all you can see is banana paste. 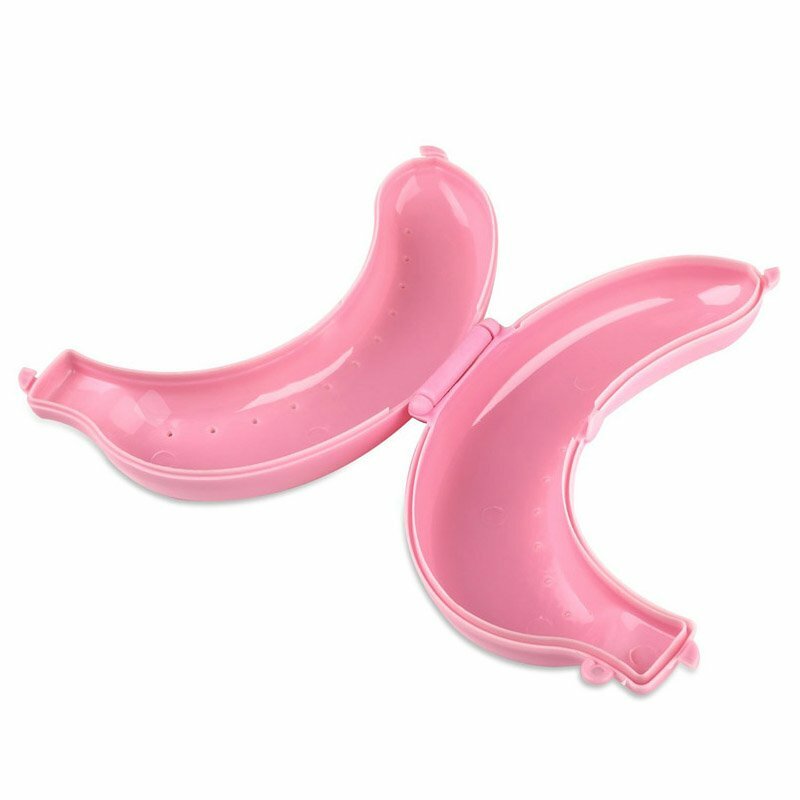 But with our pink banana boxes, you can keep the banana completely in shape. If you are the person who likes to eat bananas on the go, then this pink banana box is the ideal choice for you to carry along a banana anywhere you go. If you are an athlete or working out in a gym, then eating a banana after a workout session can largely help you regain your strength back to some extent. 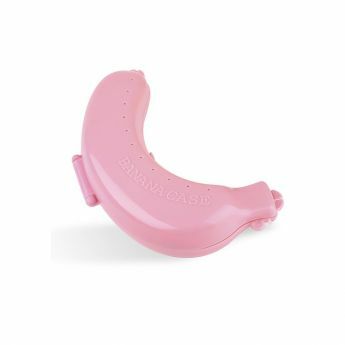 It comes with a safe and protective plastic guard and there are hook holes provided to attach straps if you need to. 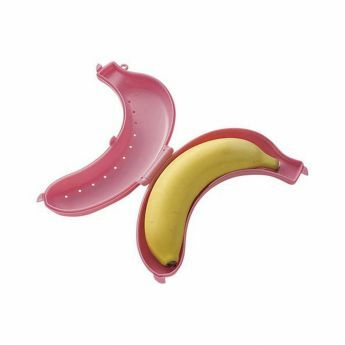 With this pink banana lunch storage boxes, you can easily store small and medium-sized bananas.